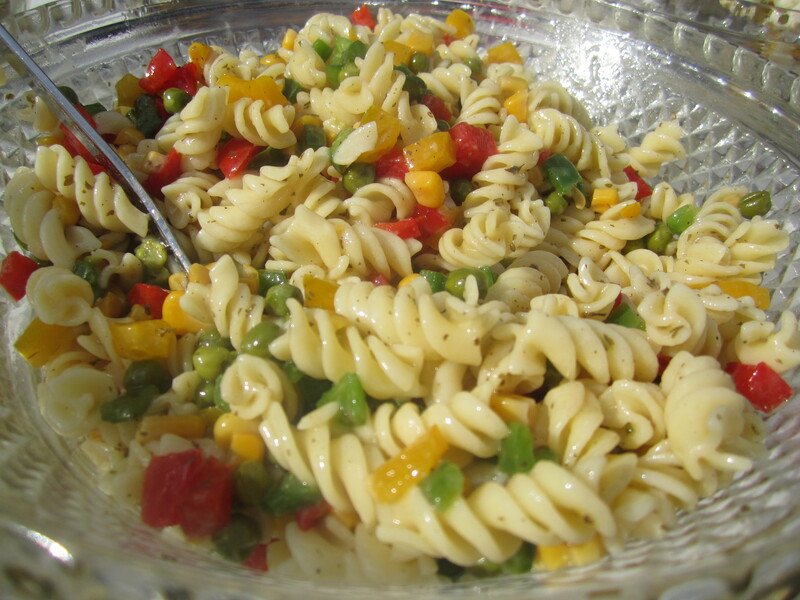 The pasta salad was Shanna’s own recipe, she threw it together just like you would have it in a restaurant! 2. Put pasta in a large bowl, mix in chopped peppers, sweetcorn and peas. Drizzle over the french dressing to coat the pasta. Salt and pepper to taste.